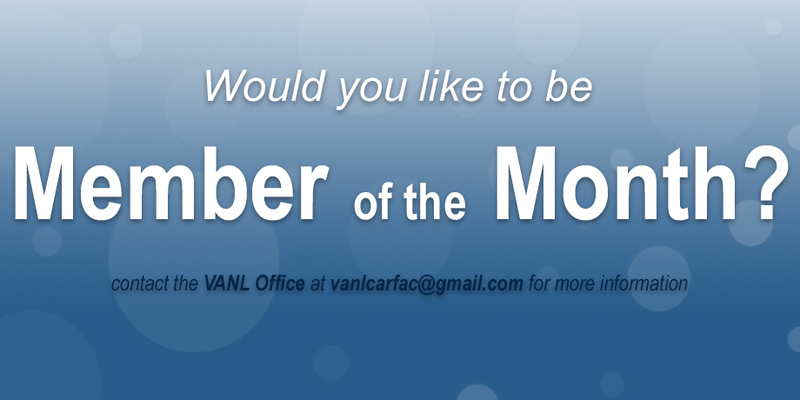 VANL-CARFAC Now Accepting Nominations for 2019 Excellence in Visual Arts Awards! 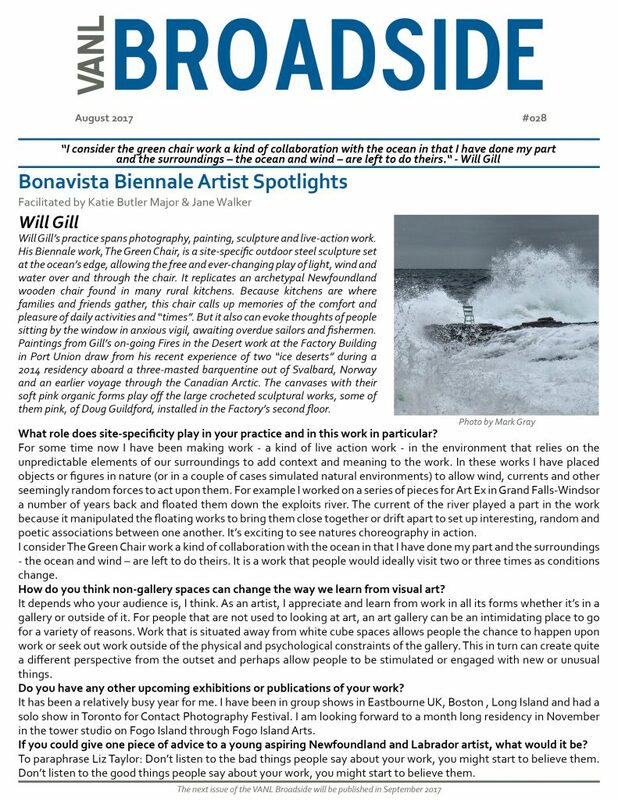 Posted on Friday, March 22nd, 2019 at 12:33 pm. 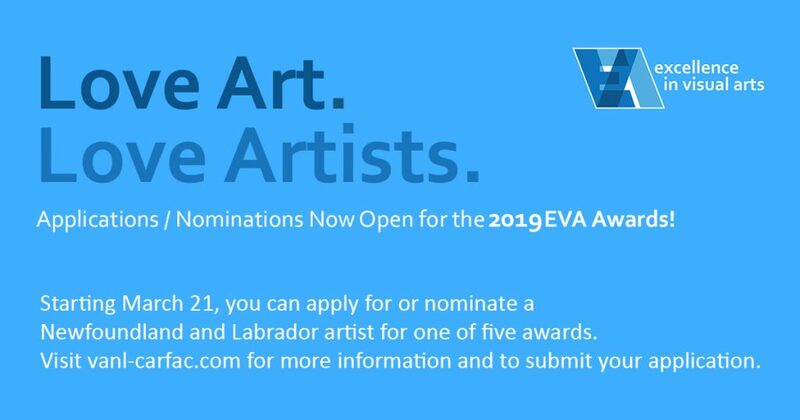 All artists and art lovers in the province are encouraged to submit nominations for the 2019 Excellence in Visual Arts Awards. There are five categories for this year’s ceremony. Posted on Tuesday, February 12th, 2019 at 4:53 pm. Posted on Monday, December 10th, 2018 at 12:29 pm. Posted on Friday, October 5th, 2018 at 2:49 pm. 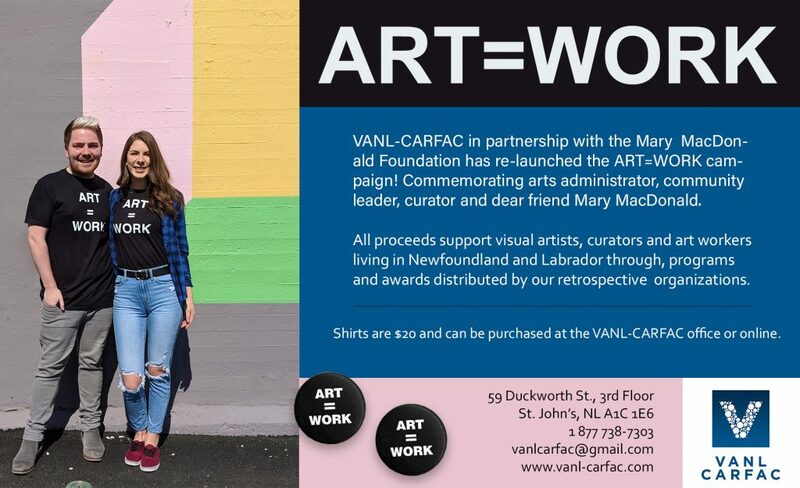 Cox & Palmer has partnered with VANL-CARFAC to offer a funding opportunity for visual artists in Newfoundland and Labrador. 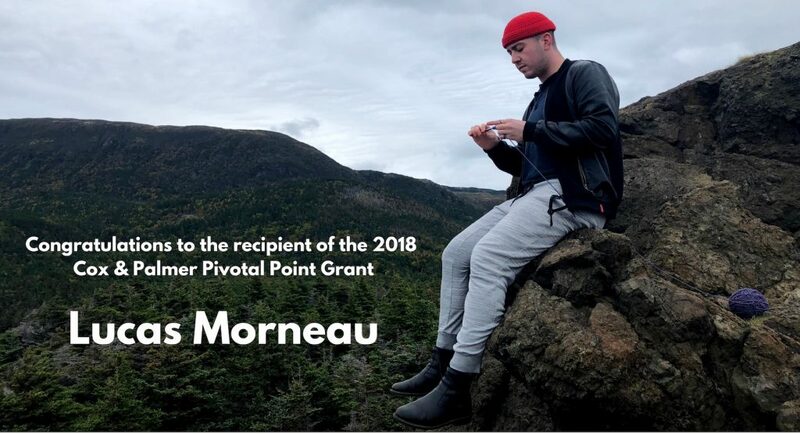 The Cox & Palmer Pivotal Point Grant is valued at $5000 and is awarded annually.